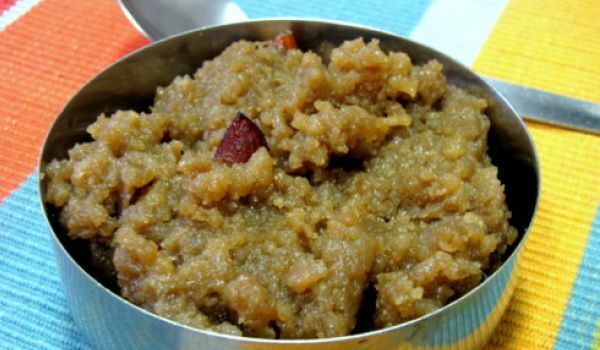 The Chakara Pongal is a popular South-Indian delicacy made during all festivals and important occasions. The raisins and the cashews that are added make the dish an absolute delight to have. Take rice and moong dal in a pan and roast them until dal starts to change its color. Now add 3 cups of water , milk and cook it till the rice becomes tender. In a separate pan take water and add jaggery to it. Heat it till the later melts completely. Now mix this with the cooked rice and stir properly. Garnish with nuts, cardamom powder and serve.